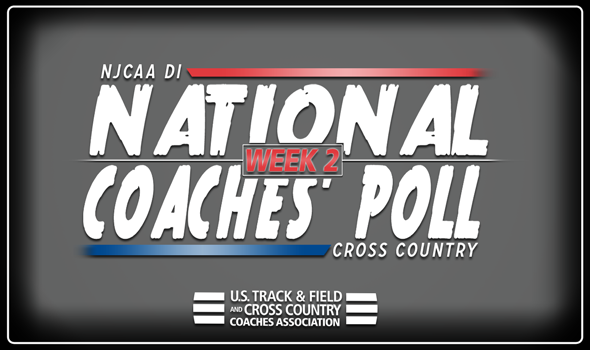 That means there was a decent amount of movement for programs to have in the most recent Men’s and Women’s National Coaches’ Polls released by the U.S. Track & Field and Cross Country Coaches Association (USTFCCCA) on Wednesday. The top teams in the nation will spend the season battling for eventual podium spots at the 2018 NJCAA Division I Cross Country Championships on Saturday, November 10, in Garden City, Kansas, hosted by Garden City Community College. Central Arizona earned six first place votes to remain the No. 1 team in the nation for the second-straight week to open the season. The Vaqueros are coming off an impressive performance in winning the ACCAC Cross Country Championships this past weekend. Also holding in its previous spot is No. 2 Iowa Central CC after it picked up four first place votes. The Triton placed third in the Men’s 8K Maroon Division II race at the Roy Griak Invitational. Improving three spots to No. 3 is South Plains (Texas) after the group won the New Mexico Junior College Invitational. Cloud County (Kan.) CC dropped one spot to No. 4 after being off from competition this past weekend. The last time the T-Birds raced they took 12th at the Chili Pepper Festival back on September 22. Also dropping one was No. 5 El Paso CC who took second at the New Mexico Junior College Invitational. The biggest jump belonged to No. 6 Colby (Kan.) CC after a seven-spot improvement from the previous poll. Paradise Valley (Ariz.) CC also saw a huge gain going from unranked all the way up to No. 8. Iowa Central CC remained at No. 1 after collecting nine first place votes. The Triton women took ninth in the 6K Maroon Division II race at the Roy Griak Invitational this past weekend despite not racing their top-three runners. El Paso CC stayed at No. 2 and earned one first place vote after the group won the team title at the New Mexico Junior College Invitational. Cowley County CC held in the No. 3 spot and is fresh off a seventh-place finish at the Rim Rock Classic. New to the top-five after a four-spot improvement is No. 4 College of Southern Idaho. The Golden Eagles were off from competition this past weekend but took second overall in their last race at the Ken Garland Classic. No. 5 Central Arizona dropped one to round out the nation’s top-five. The group is fresh off a team title at the ACCAC Cross Country Championships. The tie for biggest improvement in the poll went to No. 8 Pasco-Hernando (Fla.) and No. 11 Monroe (N.Y.) who both shot up eight spots. Paradise Valley (Ariz.) CC also went from being unranked to No. 12. Week 5 Wed 11/7 Nov. 10: NJCAA DI Champs, Garden City, Kan.